Allison joined the Southlands team in September of 2010 as the Executive Director. She brought with her a lifelong love of horses and an appreciation of the virtues they instill in humans: responsibility, self-reliance, passion, perseverance, and love. With a rich background from the Equitation ring to International Camp Director, Allison can dig into her past and come up with experiences that are useful to the Southlands family. Allison’s passions are horses and lifelong learning with horses. She had been focusing on Dressage for a while now. She has acquired her USDF Bronze & Silver medals. Allison has gone through the USDF Learner Judge Program and has acquired her “L*” permit with distinction. Some of her goals are riding Grand Prix and getting a few more medium level scores and go on to the national USEF dressage judges licensing program. Chelsea was born and raised in Roanoke Virginia, but sat on a horse for the very first time as a three year old child here at Southlands! Thust began her lifelong passion for horses. After a successful junior show record and then IHSA years at Hollins University, she went on to pursue a professional career as a hunter/jumper and equitation trainer. Her endeavors took her all over the country, with show winners at Devon, Upperville, Wellington and more. Outside of the show ring her scope in the equine industry is wide, including professional years spent at breeding/ colt starting, fox hunting, and steeplechase farms, and intern experience in equine veterinary practices. After leaving Virginia, she spent five years training out of Jacksonville, Florida and wintering at WEF, and most recently had her own 30 horse training operation based in Hilton Head, South Carolina. Chelsea specializes in bringing green horses from the ground up to the high performance hunter and derby divisions. She strongly emphasizes putting the horse first and has a philosophy that a happy horse will always you give his best effort. She coaches students of all ages and abilities, and enjoys teaching not just riding, but the “hows and whys” of thorough and proper horsemanship. She enjoys challenging her students to push their comfort zones to better improve their riding, and believes a well rounded rider isn’t just functional in the show ring, but can do a little bit of everything! I grew up riding in Zambia where we did a bit of everything; from trails and gymkhana to eventing and polo. I moved to England when I turned nineteen and my somewhat rough riding style had to be rebuilt. I evented extensively while in the UK and developed a passion for the training process involved in dressage. I have British Teaching and Stable Management certification up to BHS Intermediate Instructor, for which I apprenticed in various barns. I bring 50 years and 3 continents worth of experience with me and love to share my knowledge with others. 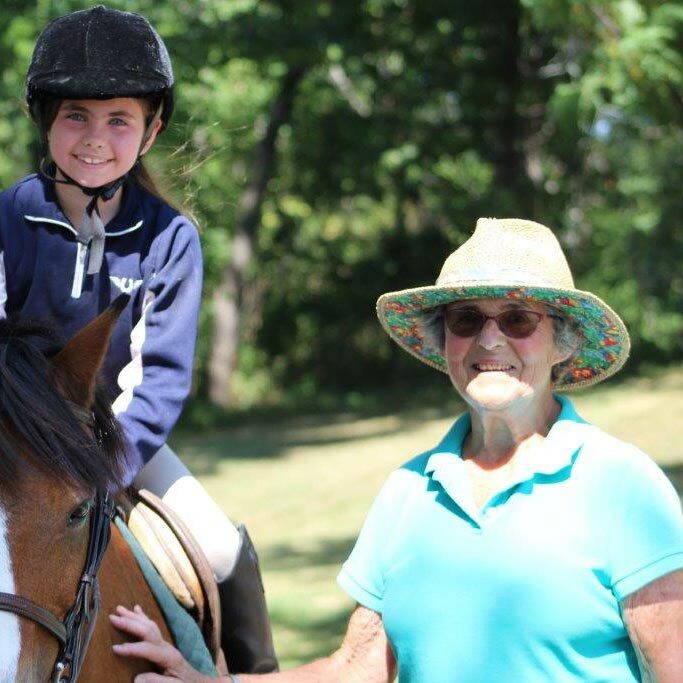 Susie has been a part of the Southlands Foundation since she was 4 years old and knows more than anyone what a magical place it is; one that allows people and children to explore the limits of their potential through horseback riding. Watching the growth of individuals and helping them to expand their personal boundaries is what Susie looks forward to every day. Teaching people to understand that their relationships with a horse can be a metaphor for their life is how she has incorporated her education with her passion. Susie feels truly blessed to come to work each day. Mrs. Dows was Susie’s mentor, teacher, and beloved friend for 40 years and it is Mrs. Dow’s vision that she shares with her students. Susie trained with Harry DeLeyre for 3 years at the Knox School for Girls as well as numerous highly regarded clinicians through out her many years of riding. Susie has a B.A in Sociology and Secondary Education, as well as an M.A in Secondary Education (Social Sciences) and has worked at Southlands in some capacity for over 30 years. Pam began riding at 7 and has continued to pursue her love of horses ever since. Pam grew up on Long Island where she learned to love fox hunting. She spent a good part of her first riding life doing just that and was lucky enough to get to hunt with Charlie Plumb (Mike Plumb’s father) with the Meadow Brook Hounds. About 40 years ago, she and her husband, Ed, moved to Rhinebeck with the intent of continuing her riding. From the mid 1970’s until the late 1980’s she not only continued to ride, she was a hunting member of the Rombout Hunt. It was also at this time that she started Eventing. It was in pursuit of higher dressage scores while eventing that she became intrigued with dressage. She managed to train her old Eventer to second level as she started her second horse in training. With this second horse, she started her progression of dressage training under many clinicians. While Pam continued her dressage education, she spent about 15 years studying under Debbie Shin Bowman. Pam competed through 4th level and has continued to train ever since. She teaches beginners to intermediate in balanced seat and dressage from training up through second level. Pam has been teaching for over 20 years at Southlands. 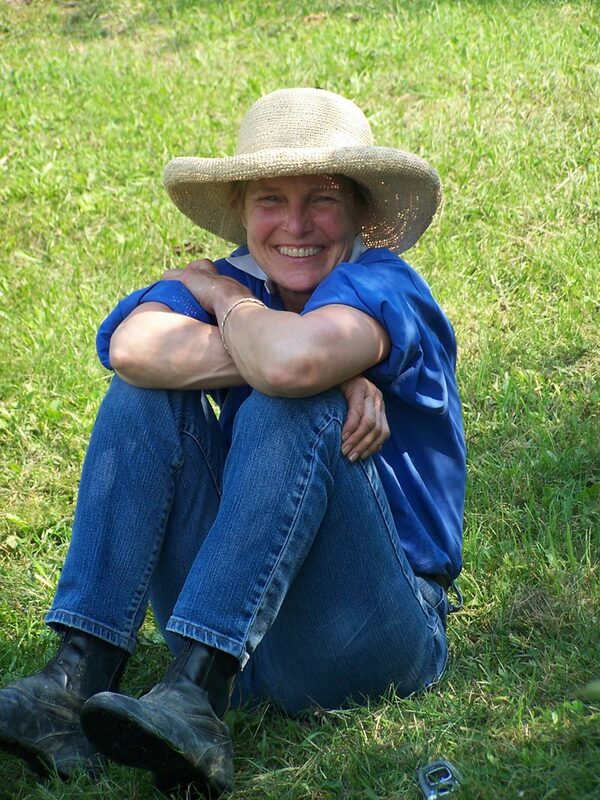 In 2008, Pam started a modest dressage program at TSF which seems to be growing every year. She is also the manager of the Dressage Schooling Show Series that are held at Southlands. With a passion for teaching riders and training horses, Michele and Jonathan Edel began their team has a professional equestrian couple in 1994. Michele started her equestrian pursuits in southern NH by begging her non-horsey parents for lessons, which eventually led to riding and showing up and down the east coast while working for various trainers as a working student. Jonathan grew up showing and fox hunting in Fairfield, CT out of his parent’s small stable, gaining his colors with the Fairfield County Hounds at age 12. Michele and Jonathan focus their teaching program on giving their students a solid foundation of basics, combined with learning feel and compassion for the horse. Teaching riders how to be effective through correct equitation and having fun while learning is always the common goal! They’ve spent years learning their craft and absolutely enjoy sharing the love of horses and riding with riders, from beginners to advanced competitors.